“Crash Course Mythology” is part of the Crash Course YouTube channel that publishes educational series on topics commonly taught in high school, such as physics, literature and world history. 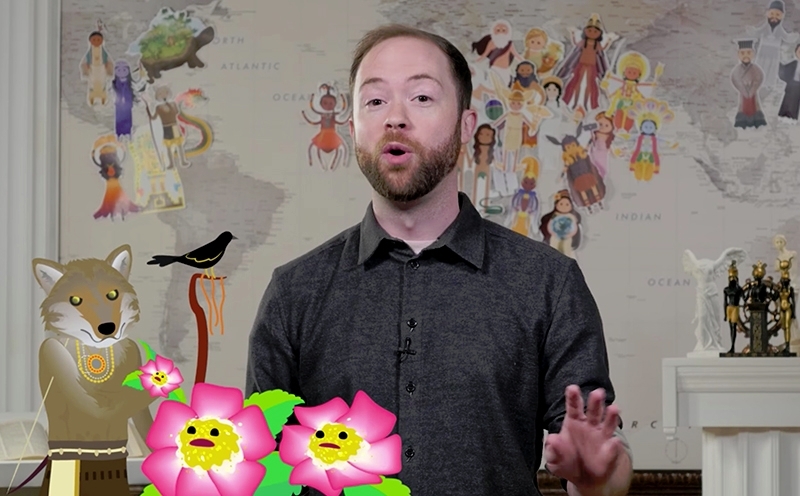 Host Mike Rugnetta serves up a fun, accessible and cross-cultural introduction to world mythology. Video topics range from discussions of Greek or African pantheons to creation stories and apocalypses. You can even learn about Norse and Polynesian mythology with pop culture tie-ins like “Ragnarok” and “Maui.” While the series generally analyses these myths as literature, much of the content addresses religious themes that students might encounter in a comparative religions course. “Crash Course Mythology” is one of the most prominent series about religion on YouTube. Each episode draws up to 900,000 views, and more than 30 episodes have been published. Despite this popularity, “Crash Course Mythology” has barely registered on the radar of the scholars who criticised “Believer.” That suggests that we scholars have underestimated the potential of YouTube as a platform for educating about religion. Not only does YouTube almost exceed the entire daily viewership of traditional television, it also functions as a search engine. While the CNN series sat behind a paywall, “Crash Course Mythology” pops up as the first or second result after searches like “Ramayana” or “flood myths.” These are terms likely to be used by a student researching a paper or studying for an exam. In fact, according to its co-creator Hank Green, Crash Course viewership spikes during AP test season as students turn to the channel for test preparation. 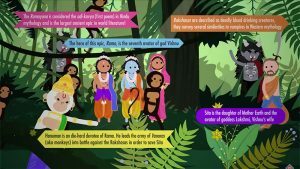 “Crash Course Mythology” functions well as a basic introduction to mythology. It has top-notch animation and it models how to talk about religion from an academic perspective. In the first episode, Rugnetta stresses that myths are treated as literature and not as universal-truth claims. Even when discussing potentially volatile subjects such as “flood myths,” the writers at Crash Course maintain a respectful tone. Considering the general lack of civility elsewhere on YouTube, Crash Course’s academic posture is a breath of fresh air. But the show is not perfect, and the writers could have avoided some missteps had they sought more scholarly input. For example, the series exaggerates commonalities between religions by lumping deities from different traditions into reductive categories such as “Mother Goddesses” or “Trickster Gods.” The writers also resurrect the tired “dying and rising gods” motif, presenting the category as uncomplicated scholarship without so much as mentioning that scholars have long since questioned its usefulness or accuracy. Despite these shortcomings, “Crash Course Mythology” is a step in the right direction for educating the public about religion. It also illustrates the huge, and largely unmet, appetite for multimedia resources about religion online. And while Reza Aslan’s show on CNN was a flash-in-the-pan event, YouTube’s search algorithms will funnel viewers to Crash Course and similar channels for years to come.